Ian Young - Founder and Managing Director of Sober-Services.com is delighted to announce that Janique Svedberg has joined him as co-Director of Sober-Services.com, thus completely joining up their wonderful working relationship in Sober-Academy.com to encompass both brands in a single partnership. They will now look towards to expanding their successful Sober Interventions, Recovery Coaching, Sober Companions, as well as their specialty Rehab at Home, throughout the global market with Ian shifting his focus from the UK and Europe onto Asia, Australasia and the Middle East, whilst Janique focuses on growth in UK, Continental Europe, Russia and North America. Sober Academy is the first group outside of North America to have a Certified Interventionist Training course, as well as its own Certified Recovery Coaching, and as Sober Academy goes from strength to strength with successful trainings across London, Holland, Sweden and Russia is the past year, they aim to expand their training courses into the new destinations of Italy, Spain and Denmark during 2018, with their new and original Training "Sober Practitioner" launching in December as well. Lastly, Janique and Ian are now combining their skillset by merging their Treatment Consultancies providing you with an even bigger resource to serve your addiction treatment business requirements, so get in touch and benefit from their joint experiences and diverse levels of expertise. Some of Janique's colourful achievements include: Author, International ARISE Interventionist, Certified Recovery Coach, Sober Companion, Real Estate VP, Reality TV Star (Sweden), Teacher in movement, sounds and colours for Children with Special Needs. Janique Svedberg, has had tremendous success helping clients with substance abuse disorder, addiction, mental health and family related issues such as co-dependency, single parenting and trauma. Janique earned her Certification in Recovery Coach and Sober Companion by OASAS, NYS Office of Alcoholism and Substance Abuse Services, as well as her Certification to teach Recovery Coaching. Janique is also a Certified teacher in PRIME for Life, Certified Master Coach in NLP, Neuro Linguistic Programming, and International ARISE interventionist with Dr. Judith Landau. Janique’s endless energy to help others to achieve the best and to break destructive behaviours, not only personally but in any business environment, speaking in front of the Fortune 500 business companies, schools, stadiums, inspirational speaking events to detox and rehabilitation centers around the world, has brought Janique to a sought after speaker. Janique’s glowing energy is contagious! She earned master coach certification in life coaching and become a certified instructor at Prevention Research Institute in Drugs and Alcohol for Adolescence and Adults with co-occurring disorders. She recently became a Certified Love and Codependency Specialist Candidate at the International Institute for Trauma and Addiction. Janique and her team of international interventionists, recovery coaches and case managers work closely with Physicians, Psychiatrists, and Treatment Centers to assist clients and their families to break free from destructive behaviour. She is proud to have created the very first Certified Interventionist program outside of North America and to have been the first to introduced Certified Recovery Coach training to Europe, Russia and soon Asia. Janique has been offering consultancy services to Treatment facilities focusing on increased admissions and marketing as well as updating the staff to the latest in the addiction field since 2014. Janique is also one of the founding members of EARS European Association of Recovery Specialists. 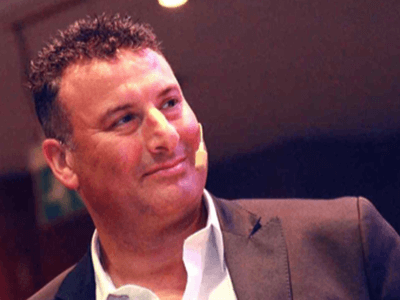 Ian Young is a charismatic speaker, with a natural talent of being a positive, uplifting and thought shifting influencer. In 2001 aged 29, after 13 years of chronic alcohol and drug addiction, homelessness and living outside of society he discovered the solution to his debilitating lifestyle, creating a life filled with laughter and love – addiction free! He was the founder of two very successful residential rehabs in the UK, before starting Sober Services in 2008 - pioneering Sober Companions & Sober Transportations and emerging as the leading Sober Interventionist across the UK, Europe, Africa and the Middle East. Ian is the Founder and Senior Trainer at Sober Academy, delivering training for those looking to work intensely with addictions. He is extremely proud to have co-created the very first Certified Interventionist programme outside of North America. Ian is one of 7 Founders of EARS – European Association of Recovery Specialists, for Interventionists, Sober Companions and Recovery Coaches. This is a not for profit organisation that aims to hold practitioners to a higher standard and unite behind sound ethics in our industry. The author of “It’s Not About Me ~ Confessions of a Recovery Outlaw Addict, from Living Hell to Living Big” [download for free here], he discloses his story through addiction, whilst exploring practical and spiritual lessons he’s learned along the way." Ian has been offering consultancy services internationally to Treatment facilities focusing on increased admissions and marketing since 2010. He has recently moved his home and office to Chiang Mai, Thailand whilst looking to grow Sober Services & Sober Academy across the Middle East, Australasia and Asia, with a particular focus on Singapore, Hong Kong, Bali, Kuala Lumper and Bangkok.